This house / villa (farm building) , with a land size of 10000 m² (about 2,47 acres) contains 13 rooms including 2 bedrooms and 1 toilet. It is equipped with a living room and with a garage. This house / villa (villa) , with a land size of 1700 m² (about 0,42 acres) contains 12 rooms including 6 bedrooms, 1 bathroom and 1 toilet. It is equipped with a living room. Near the Sea Lovely semi-detached house called "la Petite Cour" near Berck, just 5 min from the beach. It comprises of on groundfloor: living-dining room with kitchen area, bathroom with shower, wc. Upstairs: 2 double bedrooms. Terrace, garage, garden. It is located in a large park occupying 5 acres grounds, employing a gardener-caretaker for the maintenance of paths, the gardens, swimmingpool, overall guarding (monthly service cost of 125 euro). Perfect for holidays and weekends. A pretty village in the country side, 10 kms to the facilities stone built house with lot of character. Laundry / utility room, WC. 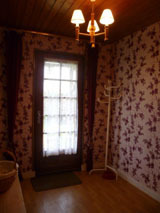 ON 1ST FLOOR : Mezzanine, bathroom comprising bath, shower, washbasin and WC,2 Bedrooms of 14 m² and 10 m² ,study of 8 m². Garage and workshop attached to the house. Four bedroomed property, with garden and garage situated in the town. On GF : Fitted kitchen of 24m², Lounge of 22m² with fireplace. Veranda of 18m², independent WC. On 1st FLOOR : 3 bedrooms of 13m², 12m² and 11m². Shower room comprising a shower and wash basin, independent WC. On 2nd FLOOR : Bedroom of 23m². Garden of 270m² with garage and garden shelter. This house / villa (farm building) , with a land size of 8870 m² (about 2,19 acres) has 7 rooms including 1 bedroom, 1 bathroom and 1 toilet. It has a living room. This house / villa (farm building) , with a land size of 2547 m² (about 0,63 acres) contains 10 rooms including 4 bedrooms, 1 bathroom and 1 toilet. It is equipped with a living room and with 2 garages. Others : fireplace. In the heart of the town of La Haye du Puits, restored house with garage and courtyard. Dining room of 12 m² with wood burning stove, separate toilet. Shower room comprising shower and washbasin, 2 bedrooms of 14 m² and 12 m². Situated 2,5 kms drive to the beach, Bungalow with second small house. Garden of 1780 m² with well. 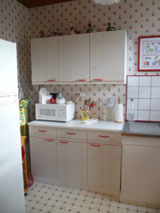 2 bedrooms of 8 m² each, bathroom comprising bath and washbasin, separate toilet, laundry / boiler room of 5 m². Gas central heating. Fosse toutes eaux. other room of 9 m² and workshop of 6 m². Old farmhouse with lot of character and numerous outbuildings. Fenced garden of 1 acre. Very quiet position in the country side. Just 5 kms drive to the town of Periers. Dining room of 16 m² with old fireplace, Bedroom of 22 m², Bathroom comprising bath, washbasin and WC. On 1st floor : Bedroom of 22 m², Large room to be converted of 35 m² (windows existing). Numerous outbuildings comprising 4 stables between 20 m² and 40 m², old stables, old charetterie, chicken house. House with 4 main rooms, on one level, situated near shops, in the town of Gouville sur Mer and just 2 kms to the sea side. Nice Woodland Setting nice renovated village house set on 3.5 acres of planted land and wood, in a lovely village of the Canche valley 10mn driving from Hesdin and its town center, 60mn from Calais. This property is made up of 3 bedrooms, a study, nice fitted kitchen, living/dining room with wood burning stove, utility room. It has a nice closed courtyard, double-glazing French windows, shutters, electric heating. Very nice location!